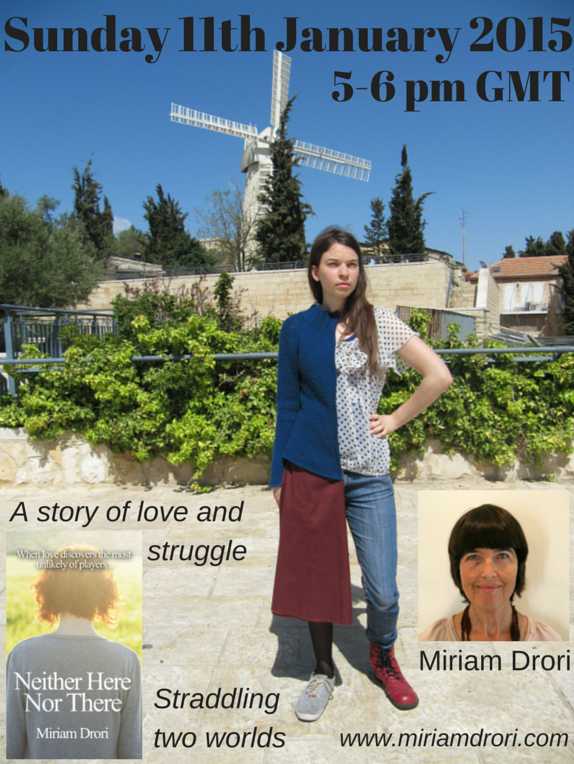 As part of Indie Authors Appreciation Week, I’m reposting this story because of its connection to Jerusalem. They stood, she and he, embracing in the centre of a perfect garden. Flowers all around. Pinks, reds, yellows, purples, whites. Water cascading down the rocks into the pool. Maturing plums and kumquats nested by sun-frolicked green leaves. Sweet, juicy fruit waiting to be gathered and consumed. Over there, on the same level, stood a large bald prism. One triangular end thrust out through needle-sharp pine leaves. Acute angles pointed and menaced. Inside the prism, as clear as if its walls had been transparent and its position much closer, people wandered in a daze, struggling to grasp the horrifying enormity exhaled by tragic reminders. “Do you want to?” he replied in question. “Just as well,” he said, without smiling. 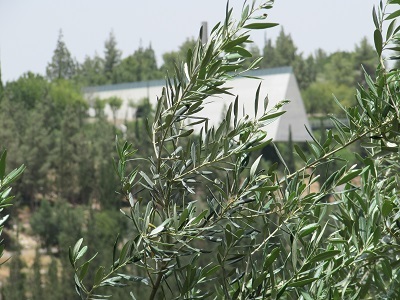 Explanation: The beautiful view from our beautiful garden includes the prism-shaped building that is part of Yad Vashem, Jerusalem’s Holocaust museum. My spot in Indie Authors Appreciation Week is at 5pm GMT today (Sunday). Do join me there if you can. I will also be running a competition, which you can find on the event page during my spot and also on my Facebook author page. The prize is a signed copy of Neither Here Nor There, which I will send anywhere in the world.